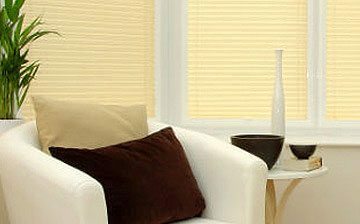 We supply many types of blinds to our customers in the UK and a popular choice is our Perfect Fit Pleated Blinds. These blinds are popular because they come with a blackout fabric. 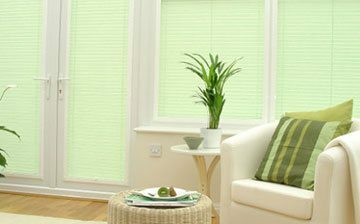 The blackout fabric used in our Perfect Fit Blinds is a honeycomb or cellular polyester fabric. The internal walls of the cells will be lined with an aluminum foil. It is the internal lining that gives this fabric excellent energy saving properties, reducing heat gain in the summer and heat loss in the winter. This internal lining will not allow light to penetrate through the fabric so if you are looking for some blinds for your bedroom then these blinds will be ideal. The holes for the support cords are located in the centre of the cells and are all hidden meaning that there will be no holes in the fabric to let light through. Our Perfect Fit Pleated blind is child safe so will be ideal for a child’s bedroom or nursery. All of our Perfect Fit Pleated Blinds carry a 3 YEAR GUARANTEE. Please see the Perfect Fit Blind Video by clicking on the link in the left hand tool bar, this will show you how to measure, assemble and install your blinds. The honeycomb or cellular fabric is a two-layer polyester but has no internal lining. This will gently filter and soften the light entering a room whilst retaining privacy from the outside during daylight hours. However, you should be aware that at night with internal lighting switched on they provide very little privacy at all. This is where you would probably like to have curtains fitted if you have these blinds in your bedroom or maybe your living room. The plains and patterned fabrics are a single layer polyester with a pearlised ASC (Advanced Solar Coating) coating on the reverse side that will reduce glare and heat gain through your windows and doors and will also give a uniform appearance from the outside. shape of the blind throughout its life. If you are looking for Perfect Fit Conservatory Blinds then this is the fabric that the majority of our customers will choose. The Golden Oak and Mahogany Perfect Fit frames utilise the same coloured film that is used on your UPVC window frames. This is so you get the same colour match but only have a 15% surcharge. The white and brown Perfect Fit frames are charged at our standard prices. We offer a free sample service for all of our fabrics so you can see exactly what you will be getting. If you would like to take advantage of this service, then simply use the CONTACT US page stating your postal address plus which fabric samples you require and we will dispatch these by 1st class post. We are sorry but we can only send you 5 samples of fabric. Once you have chosen the 5 that you like, we will then send them to you by first class post. 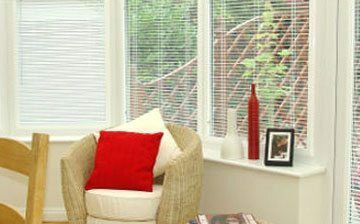 You can then order your chosen blinds which will then be sent out to you by our carriers. Delivery time will range between 12-14 days once we have received the confirmation of your order. Your blinds will have to be signed for so please ensure that you will be home on the day they arrive.